For the last few years I have read and heard so much about how trainers need to wise-up, get with-it, and embrace social media. This is undoubtedly true but how will people know what to do? 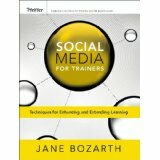 The simple answer: by reading Jane Bozarth’s book ‘Social Media for Trainers’, that’s how. For all you trainers out there, there is one book which should be on your ‘essential reading’ list: Social Media for Trainers: Techniques for Enhancing and Extending Learning, Jane Bozarth, 2010, Pfeiffer, ISBN 978-0-470-63106-5. Why? Well, as Jane says in her book “It is critical, if workplace trainers intend to remain viable and credible, that they understand how to participate in the networks and use the social media tools to extend their reach and enhance the development of the employees they are charged with developing.” Surely, only luddites would tut at this and say that social media tools are not for them? Which means that if you are reading this blog, it would be reasonable to assume that you are not one of the ‘tutting’ brigade, so read on. To start with, I felt I should support the technology focus of this book, so I downloaded it from Amazon and, using the Kindle app on my iPad, read it electronically. As a result, I realized that via this medium it wasn’t only a book but an interactive one at that, allowing me, via the many hyperlinks, to go straight to tables, diagrams, etc. in the book itself and to access straight away the valuable external website links provided; which really added that extra bit of something to what was a very pleasurable reading and learning experience. The book opens with an overview of social media tools and current trends, both of which are covered superbly. This is followed by chapters dedicated to Twitter, Facebook and Other Communities, Blogs, Wikis, and Other Tools, each of which provides a long list of ideas for activities, discussion topics and formats, and exercises using the tool in question. I found each of these to be very informative, well thought out, and extremely valuable. Even as a fairly experienced blogger and twitterer, I learned so much more and, although I was not a great fan of Facebook, I now see it in a much more positive light. The book concludes with an overview of the larger picture, ie social learning, along with suggestions for gaining organizational support for change – which nearly blew my socks off with the number of citations, examples, and case studies provided. One of many meaningful messages in this book is as follows: “Research … indicates that as much as 70 percent of workplace learning is informal, occurring outside the classroom and in the spaces between formal training events. Social media is one way for the training department and the training practitioners to get into those spaces and reach employees between events.” – hence the title of this blog post. As Jane says “In essence, training approaches incorporating social media strategies more closely resembles how we really learn in our day-to-day activities.” I could not agree with her more and, if you do too, then make sure you get and read this book. As I said to someone the other day on Twitter “you will not be disappointed” if you do. Finally, just take a moment to think about your own organization or those for which you provide training. Social media tools are here to stay, so why not incorporate their use into your training provision? 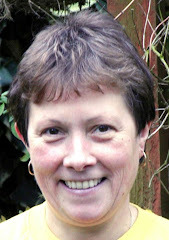 Then, having read Jane Bozarth’s book, draw-up a plan of action for doing just that. You can contact Jane Bozarth via her website www.bozarthzone.com on Facebook at Jane Bozarth Bozarthzone and via Twitter at @janebozarth.